Do you also have the feeling that something really BIG is coming? I feel a tremendous sense of urgency about this column. The United States is hurtling towards severe trouble, and the events of the past few months — and what may be coming over the next few months — grieves me a great deal. Something is coming. I don’t know what. But we all must be ready in every possible way. When I first read that, I thought that sounded remarkably similar to how I have been feeling. Personally, I am feeling more of a sense of urgency about the second half of 2015 than I have ever felt about any period of time before. And like Rosenberg, I am also convinced that “something is coming” and that this nation is hurtling towards severe trouble. Violence is exploding in our cities, schools and churches. The horrific mass murder inside the church in Charleston would be bad enough if it wasn’t just one of innumerable mass killings that have become epidemic in America. Racism is tearing us apart, and it appears things are getting worse, not better. The Supreme Court is poised to rule any day now on the definition and future of marriage — and if the Court rules against Biblical marriage I believe this could cause the Lord’s hand to turn against our country in a severe and profound way according to the moral laws found in Romans chapter one. Abortions are occurring at more than one million in year and have put America on the fast track to judgment. Since 1973, Americans have murdered 57 million children through abortions. The blood of 57 million babies is crying out for justice, and they will get it in God’s sovereign timing. Could that be soon? If all this wasn’t bad enough, marriages and families are imploding all around us. Poverty is growing. Drug and alcohol use is epidemic. And that’s just here at home. Abroad, Iran is closing in on The Bomb. ISIS is exploding across the Middle East, and gaining ground in Syria, Iraq and Libya. The Kremlin is growing more aggressive. Yet our politicians continue to bicker, stall, or golf, even as many abdicate their Constitutional responsibilities. And many Americans have little or no hope for the future, have little confidence in government, little confidence in the media or academia, and far too little confidence in the Church. Indeed, many see little or no reason to go to church, and are drifting from whatever faith they might have once had in the Lord Jesus Christ. While, Rosenberg did not name a specific period of time in his article, other prominent voices have gone out on a limb and are pointing to the fall of this year. 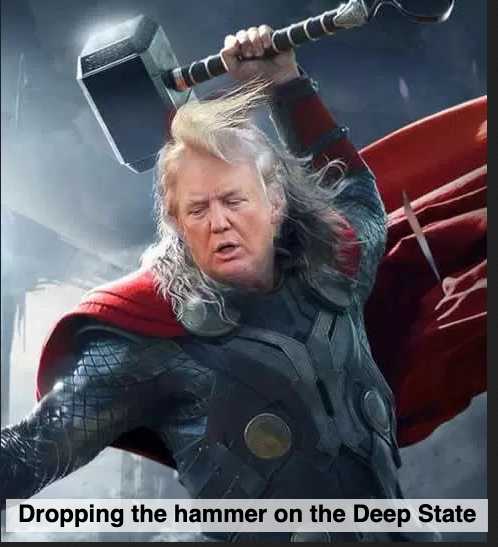 Just yesterday, I wrote about how Lindsey Williams, Martin Armstrong and Alex Jones are all warning about what is coming in just a few months. If you have been a reader of mine, you know that I have been pointing to an economic collapse, probably starting in third quarter 2015. Black Monday – October 28, 1929 – the stock market starts to destabilize and crashes thus beginning the Great Depression. I strongly believe that 2015 will be a year that begins / creates financial crashes, economic chaos and possibly the start of the next great worldwide depression. 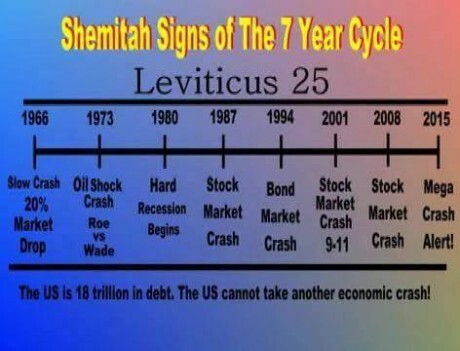 Last time around, not that many understood what was happening when the stock market crashed at the very end of the Shemitah year in 2008. But thanks to Jonathan Cahn’s work, this time around millions of people are talking about the Shemitah cycle that ends this September. For much more on all of this, please see my previous article on the Shemitah. I think we’re getting very, very close to the next crisis collapse. I haven’t said that since 2008. I haven’t said it’s going to happen this year or next year… I’ve never really been warning that I think it really is now very close and I have been doing that lately… and I’ve actually predicted later this year in September. There’s a number of reasons why I predicted that date. There are a lot of things going on… a lot of crazy things… to go into it all it’s just amazing how you can see these things being put into place. Are we heading for a financial collapse (or something even worse) during the second half of 2015?